It is well understood that Surface Drives are the most efficient form of propulsion for high speed craft and so well understood this means higher speeds and fuel savings. Is that all? Of course, shallow draft is another advantage, but Q-SPD offers so much more. Q-SPD is a surface piercing alternative that eliminates traditional compromises commonly experienced with others and brings the same high performance characteristics one expects from surface drive technology, along with many unique and real advantages. The Q-SPD Advantages. What makes Q-SPD particularly unique is that it’s main body is a monocoque structure molded by resin infusion of Eglass and CF fabrics, in an epoxy matrix that is temperature cured to create a very accurate, light weight single structural component that is non-corrosive, super strong, robust and reliable. Using light weight composite technologies offers the ability to Style and Form enhanced features that overcome many of the traditional surface drive compromises, as well as eliminating many complexities like trim control, which are simple not needed, hence eliminating vulnerability and reducing maintenance. Click the tabs to explore the many benefits Q-SPD offers. High Speed > Q-SPD offers the same efficiency gains that we expect Surface Drives to offer at high speeds. This is the nature of the technology and Q-SPD is no exception. 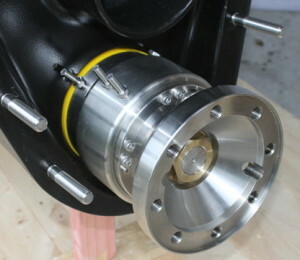 However, Q-SPD is designed to be more efficient though the whole operating range, not just at high speed. Unlike many other brands Q-SPD offers much improved lower speed performance even on very fast boats. 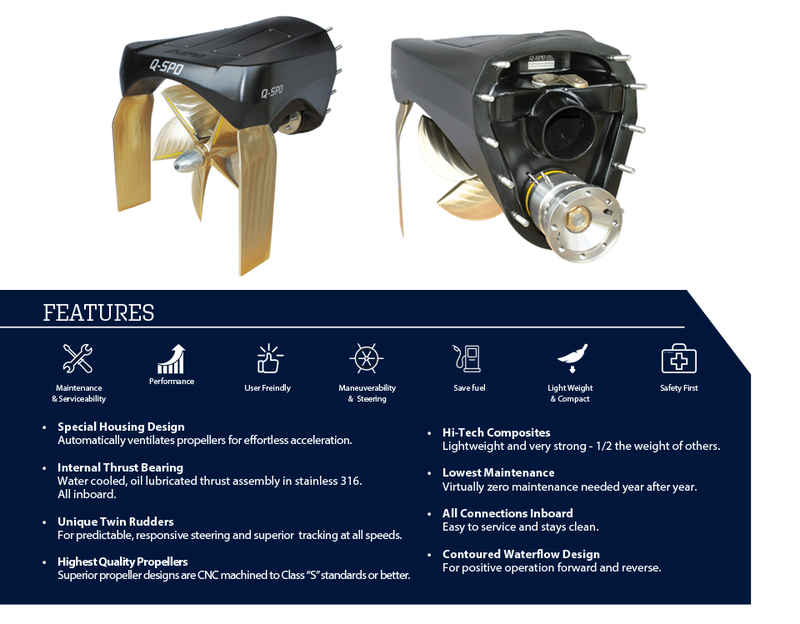 Low Speed > Q-SPD drive and propeller combination is designed to offer better low speed operation without the need for propeller trim functions or other assistance that other drives need. Further, Q-SPD is well proven to have the ability to operate very effectively on lower speed boats and also heavy boats where other surface drive technology just can not go. This makes Q-SPD perfect for many work boat applications where load carrying is important, along with shallow draft and low maintenance. Acceleration > One notable ability of Q-SPD is to achieve very easy and quick acceleration. Q-SPD uses exhaust and passive air ventilation to provide the correct amount of propeller ventilation at all times. No need for adding vent pipes, no need for vent grills in swim platforms to get enough air to the props and no need for propeller trim operation to get out of the whole. Just push the lever and go, easier and faster on to the plane. Q-SPD’s contoured under body design promotes better thrust at low speeds both forward and reverse, so enhancing maneuverability and reverse performance. Clients have told us that maneuverability is better than their previous experiences with conventional shafts and even stern drives. Low speed operation is predictable and positive and again no need for the addition of trimming propellers. The twin rudder design offers very responsive steering at all speeds. In fact so good that in many applications rudder angles needs to be limited at high speed for crew safety. Tracking is also extremely positive with. This all the result of having rudders always in hard water flow rather than in propeller wash.
All Q-SPD solutions require virtually no maintenance! No hydraulic cylinders or lines and other critical moving parts outside the vessel therefore they cannot be harmed by being submerged in sea water. Water lubricated shaft bearings and self-lubricating rudder bearings offer a long-life maintenance free operation. 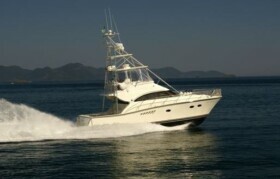 Steering is provided by industry standard inboard steering systems mounted inside the boat. The Thrust Bearing assembly is inside the transom. So with all the main service components inside, where they stay clean and free from fouling and corrosion, servicing when needed is easier. Whats left on the outside is all long life water lubricated bearings and bushings, so regular cleaning like any submerged surface is all that is needed. With the main structure being Composite, minimal components outside the boat and all stainless steel or Nibral construction otherwise, chances of corrosion and electrolysis are minimized. Each unit included sacrificial anodes to protect what metals do get immersed. Many clients opt for Q-SPD not just because of the efficiency and speed gains, but because of the long term reliability and lack of maintenance. Especially in commercial applications, Q-SPD is proven to endure thousand of hours without significant servicing requirements. There are many examples of sub-30 knot boats in operation benefiting from the reduced maintenance and increased usability of the Q-SPD solution. Q-SPD’s construction is largely composite, so they are exceptionally lightweight, up to 50% or more lighter than other brands. The main housings are molded from e-glass and/or carbon-fiber reinforcing in an epoxy matrix using advanced resin infusion manufacturing techniques. This produces extremely strong and tensile components that will not corrode and are not susceptible to electrolysis. The light weight benefits of using composites not only offers lighter weight but also ability to create more complex and versatile solutions. Q-SPD is much shorter in installed length then other leading brands, meaning more waterline length and so planing surface can be realized, which in turn means more buoyancy. All of the unique design features of Q-SPD is taking the experience of surface drive technology to a whole new level by offering the most user friendly surface drive package there is. User Friendly means that there is no additional worries for operator while using the vessel. No need for drive trim control to make it work like others need. No chance to run in wrong trim mode and overloading engine and other equipment. No worries about hydraulic lines and linkages in the vulnerable sea water environment. Put simply, operation is just the same as operating a conventional propeller vessel, just with some advanced usability like the enhanced maneuvering, higher speeds and faster acceleration. With all of the more vulnerable components being inboard they are easy to monitor and maintain. Even the price tag is more friendly both at initial buy and certainly for the thousands of hours of reliability ahead without major service needs. All in all, an experience of easier and worry free high performance boating. The body and twin flanking rudders offer best protection to crew, passengers and vessel from the aggressive propellers. So safer for swimmers. Unlike other drives there is no need for ventilation grills in platforms or open space over the drive, so a filled swim platform can be used to provide extra protection and more quiet operation too.